Apple has really cranked up its release cycle following iOS 8, and this was emphasized earlier today with the roll out of iOS 8.3 beta 1 download. With the iPad maker working concurrently on iOS 8.2 and 8.3 in beta, a new report suggests that iOS 8.4 is also in the works, and goes on to highlight one of the features we may expect with said update. Changing way releases are numbered is a tactic that has grown in popularity throughout the software industry, with many developers opting to release ‘.1’ or even fully-numbered updates on a frequent basis. As we’ve seen already post-iOS 8, though, Apple’s system involves adding more features more quickly, and thus far, each ‘.1’ bump has brought at least one major feature or change. iOS 8.1 saw that Apple Pay was ready for prime time, while iOS 8.2 will play a significant role in the launch of the Apple Watch. iOS 8.3, as we’ve just learned, includes wireless CarPlay support among a slew of other features, and since it just went into beta only hours ago, is likely to peddle more niceties that we don’t yet know of. 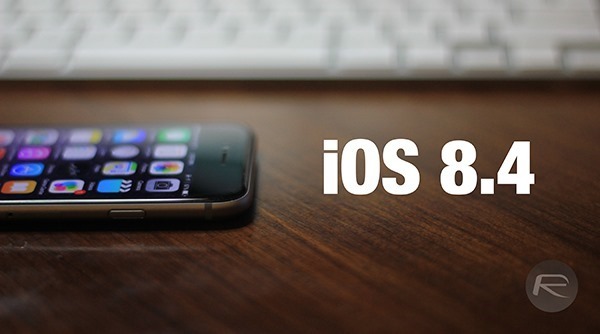 According to a source of 9to5Mac, iOS 8.4 is also in the works. Codenamed “Copper,” it will apparently make its way to market after Apple Watch hits retail stage, and with Tim Cook having indicated that the wearable was all set for shipping in April, iOS 8.4 remains quite a way off. 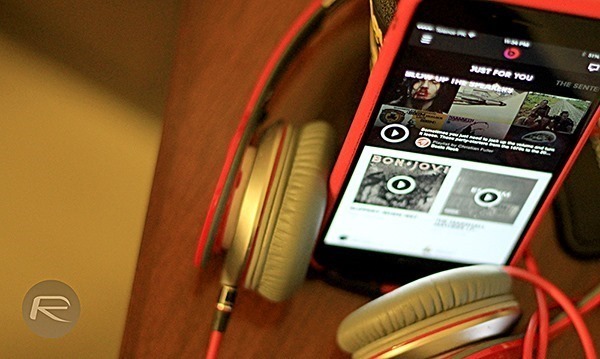 As for what it will contain, 9to5Mac tentatively notes that Apple is mulling over the idea of introducing the revamped Beats Music streaming service we caught wind of a few days back, but this is not a nailed-on plan could well be subject to change at any moment. iOS 8.4’s release will no doubt hinge quite heavily upon Apple Watch’s roll-out, in that should the smartwatch enjoy a smooth introduction with few teething issues, we could well see the update long before WWDC, which usually falls in June. But given that Apple Watch presents a whole new product category, it’s reasonable to suggest that we may not see iOS 8.4 before June, when WWDC usually falls, and if anything, the annual developer gathering could be used as the venue for iOS 8.4’s release. Your post was supposed to be about “key features” revealed for 8.4 yet the only thing mentioned was the possibility of a revamped beats app??????? WTF drugs are you guys smoking? wow 8.2 GM didn’t even release , 8.3 beta started rolling and 8.4 leaks already ? WTF is happening. Yeah, I felt the same way. Interesting information, but definitely not what the title would lead you to believe. When writing a persons name you should use upper case letters in the beginning. Jony Ive. Notice how the J and the I are both uppercase? Also, your post makes absolutely no sense. I know you have this thing against Apple and Jony Ive, but if you need to constantly troll, at least try and make sense. Usually I see your posts and think to myself that’s funny because he is a troll, but today…..meh your gone a little stale. It appears that English is not the native language of the woodland troll. Run along now, little troll. Grown ups are talking. I totally agree. It’s like they crank these articles out in 5 minutes sometimes. The spelling errors are a good indicator. Isn’t it time Apple fucked off iTunes?